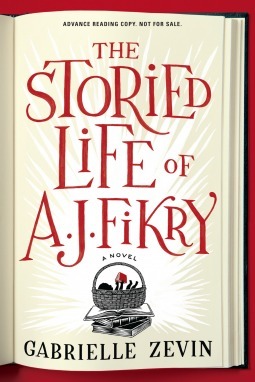 I was so happy to see that the She Reads April Book Club selection is The Storied Life of A.J Fikry by Gabrielle Zevin! 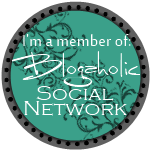 Head over there to reads some great reviews and keep a look out for my review soon. In the spirit of The Guernsey Literary and Potato Peel Pie Society and The Unlikely Pilgrimage of Harold Fry, Gabrielle Zevin’s enchanting novel is a love letter to the world of books-and booksellers-that changes our lives by giving us the stories that open our hearts and enlighten our minds. I just finished reading it last night and I really enjoyed it. Read and reviewed it in a night. Great fast read with lots of references to favorite authors and books. I keep hearing about this book–I think it’s a signal that I need to get on the library hold list for this one! I love reading books about books, so this sounds right up my alley. Nice review! Yes this is a fantastic read, our book club finished it and we were all very glad to have read it. IF anyone needs a recommendation, try Strange Birth, Short Life and Sudden Death of Justice Girl. It’s by Julian Stone, juliandavidstone.com. All about Television in the 1950’s centered in NYC. Really a neat historic fiction. I wouldn’t have thought twice about it, but as a club read I have been so surprised by how great it is! Thanks- I will look for it!